At least three people were taken into custody last night following reports from three New York news helicopter pilots being targeted by lasers. WABC, WCBS, and WNBC each filed separate reports about the lasers with the FAA, who followed up with local authorities. 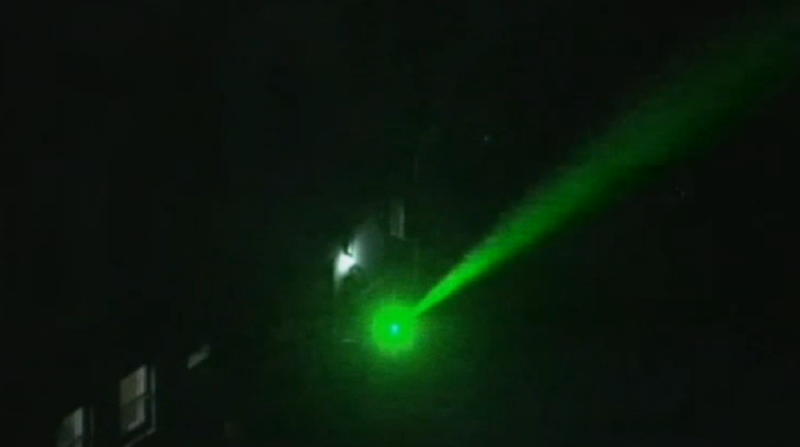 WNBC’s Chopper 4 was reporting on a stolen bus in Brooklyn when it was hit by a laser. The reporter on board, Dennis Protsko, rotated his camera to identify the source of the laser - a group of employees behind a health food store. One man was arrested and charged with reckless endangerment. Another was arrested at the same time. An apparently separate incident happened to WABC’s news chopper near Newark airport in New Jersey. The helicopter was able to stay airborne, and one person was taken into custody. Based on these reports, it seems this is just a coincidence where two jerks played the same dumb joke at the same time, but it’s too early to rule anything out yet. This is a quick reminder that you shouldn’t ever point a laser pointer at a helicopter like a real idiot. Aside from the common sense fact that they are gigantic machines that could come crashing down on top of you if you temporarily blind the pilot with your stupid laser, you should avoid it because you will get hunted down.